Recruitment process outsourcing (RPO) is a form of business process outsourcing (BPO) where an employer outsources or transfers all or part of its recruitment activities to an external service provider. The Recruitment Process Outsourcing Association defines RPO as follows: "when a provider acts as a company's internal recruitment function for a portion or all of its jobs. RPO providers manage the entire recruiting/hiring process from job profiling through the onboarding of the new hire, including staff, technology, method and reporting. A properly managed RPO will improve a company's time to hire, increase the quality of the candidate pool, provide verifiable metrics, reduce cost and improve governmental compliance". The RPO Alliance, a group of the Human Resources Outsourcing Association (HROA), approved this definition in February 2009: "Recruitment Process Outsourcing (RPO) is a form of business process outsourcing (BPO) where an employer transfers all or part of its recruitment processes to an external service provider. An RPO provider can provide its own or may assume the company's staff, technology, methodologies and reporting. 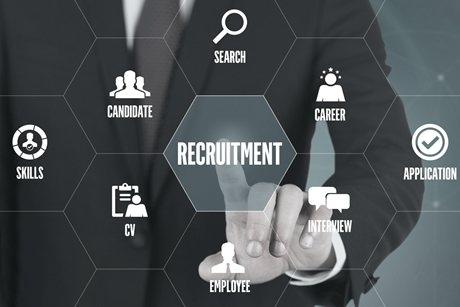 In all cases, RPO differs greatly from providers such as staffing companies and contingent/retained search providers in that it assumes ownership of the design and management of the recruitment process and the responsibility of results. Occasional recruitment support, for example temporary, contingency and executive search services, is more analogous to out-tasking, co-sourcing or just sourcing. In this model, the service provider is just a source for certain types of recruitment activity. The distinction between RPO and other types of staffing is that in RPO, the service provider assumes control of the process.